A NEW exclusive Foxy Studio product!! These are 4 mini detail Airbrush freehand shields, with a hand cut design by Marissa. They fit most natural shapes and edges, specifically fit inside the face, ears, hands and bones. You can easily move them around as they are not much bigger then a hand. Play with distance for softer defined edges or shapes and hold it close to the surface for sharp defined edges. Bounce paint from the edge of the template for the tiniest details! “Freehanding is fun, but so are mini templates! After many requests for my self made mini templates we finally have some pasted and cut from several of the most wanted stencils I made in class! 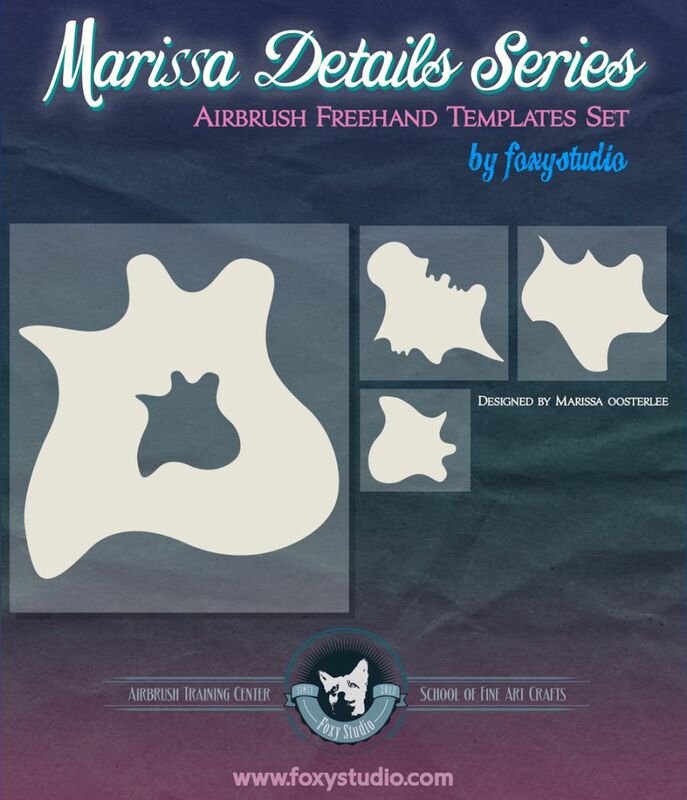 I am happy to present you my detail freehand templates and hope you enjoy them for all refined and small shapes, edges and details you may create!” Marissa.